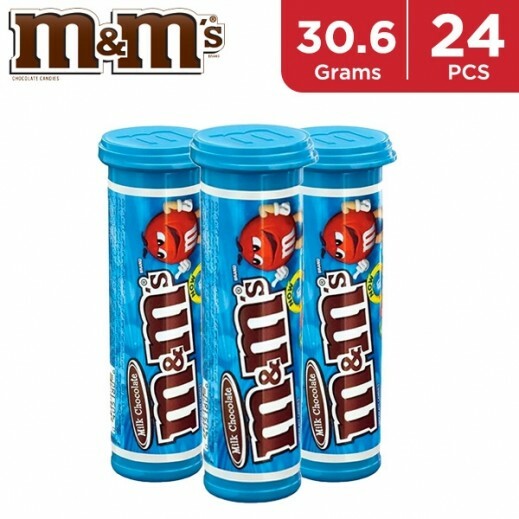 - Made with real milk chocolate, roasted peanuts and colorful candy shells, M&M’S Peanut Chocolate Candies are a delicious treat with a satisfying, nutty crunch. Perfect for parties and celebrations of all kinds, this tasty snack is a great addition to candy buffets and party favor bags. Grab a bag for your next celebration, for the office, to bake with or even just stock up your pantry. You’ll be glad to have M&M’S Peanut Chocolate Candy on hand.